HA note: The following is reprinted with permission from Latebloomer’s blog Past Tense Present Progressive. It was originally published on August 22, 2012. Every once in a while, I realize something shockingly obvious, something that confronts yet another false assumption that has managed to cling to my mind even as I’ve moved further and further away from my fundamentalist Christian roots. In the whole Bible, there is not a single verse that credits parents for having raised a good child. Nothing from God, nothing from any adult sons or daughters in the Bible. Not one word of thanks, not one word of credit. But those verses are not there. So why do fundamentalist Christian parents today feel they have so much control over their children’s destinies? Why do they think that they can help their child get closer to God by getting in the middle? Why do they put so much pressure on themselves, considering themselves failures if their children grow up to take a different path? Based on these books, the small collection of homeschooling families who attended Reb Bradley’s church Hope Chapel along with my family had high hopes for their children. Yet in the dozen years since, many sincere and dedicated parents have seen all their work fall apart before their very eyes as their children reached adulthood, or even earlier. I am one of many who didn’t “turn out right,” yet another disappointment to the former parents and leadership of Hope Chapel. Everyone responds a little differently to poor results. Some, like Michael Pearl, laugh at the critics and refuse to self-reflect at all. Others, like Kevin and Elizabeth Schatz, who were just young parents when we attended Hope Chapel together in the late 1990s, apparently felt that they could avoid poor results by doubling down in intensity on poor little Lydia Schatz, who was disciplined to death in 2010 at age 7. 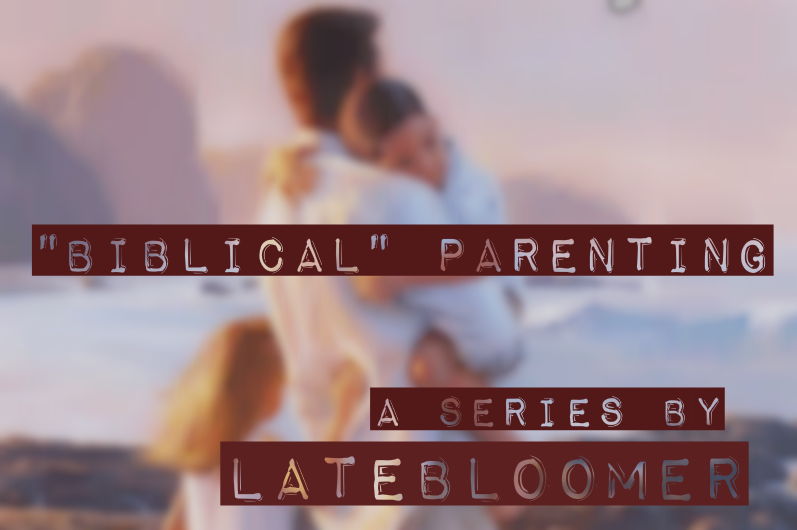 “In the last couple of years, I have heard from multitudes of troubled homeschool parents around the country, a good many of whom were leaders. These parents have graduated their first batch of kids, only to discover that their children didn’t turn out the way they thought they would. Many of these children were model homeschoolers while growing up, but sometime after their 18th birthday they began to reveal that they didn’t hold to their parents’ values. Some of these young people grew up and left home in defiance of their parents. Others got married against their parents’ wishes, and still others got involved with drugs, alcohol, and immorality. I have even heard of several exemplary young men who no longer even believe in God. My own adult children have gone through struggles I never guessed they would have faced. When I first scanned over many of his points in that article, I was encouraged by the things I saw; acknowledgement that parents don’t have total control over their children’s destinies, a de-emphasis on authority, and a much-needed emphasis on relationship and acceptance. My critique will be posted in several installments online for the purposes of discussion, and I welcome any comments or feedback from the authors, from parents who have used this parenting approach, from now-grown children who experienced these techniques, from parents who are considering using it, or from horrified online bystanders. I think the fundamental goal behind “Christian” parenting of this nature is to raise culture warriors. By having as many children as possible and by brainwashing them into thinking/believing exactly as you do, the hope is to eventually take America back for your own vision of what the country should look like (or rather, the vision of the leaders of the Christian Homeschooling movement). I think the driver for many people is this belief that America is somehow god’s chosen country, that American Christians are god’s chosen people. Oh, absolutely. So much fundamentalist parenting advice is geared toward molding children into unquestioning believers who will exert dominion over American culture as adults. However, their efforts don’t always work as planned. Living Weapons for the Culture War. From spawning pits below Isengard directly into the Jihad. i.e. DOUBLE DOWN. REALITY CANNOT INTERFERE WITH PURITY OF IDEOLOGY. PURITY OF IDEOLOGY, COMRADE. Not to be a defender of the Pearls, but Michael Pearl did do quite a bit of self reflection and wrote a book called “Jumping Ship”. I heard some one speak on it or maybe home at a home school convention many years ago, before I started to read this site. The book advocates more freedom for young adults to become adults. On a larger picture, young people are leaving the entire church from Orthodox, to liberal to evangelical, to Catholic to Fundie Baptist. I also think a sunset of Christian follow these people. It is good that you are writing a critique. I wonder if reading Jumping Ship would give you another thing to critique. There is more advise to children in proverbs of how to be a godly person then there is to parents on how to raise one. But there is parental advise. But proverbs are not promises, just general ways things seem to go. Was it God’s church or Reb Bradley’s church Hope Chapel? Big difference! Well, obviously Jesus couldn’t give Mary applause, since his hands were kind of busy :p.
Admin note: Some comments in this thread have been deleted for supporting literature that supports abuse. Wow, there are people actually going online to support abusive literature IN SPITE of evidence of the damage it did/does ? What lemmings !! Pingback: Train Up A Child In the Way He Should Go, And…?